The Australian company that imported KLNE Sunteams inverter is no longer in business. It went into voluntary administration after installing a range of Sunteams inverters nation-wide. They are a red inverter unit and look very similar to another popular brand on the market, so you’ll need to check carefully to determine which one you own. Do you require KLNE Sunteams inverter repairs? Having the faulty inverter disconnected – at your expense. Shipping it to a warehouse which may be in another state – at your expense. Paying for any number of faults in the inverter to be repairs. Shipping the unit back to your house – at your expense. Having the repaired inverter reconnected – at your expense. It can be a costly exercise! You may find it makes more sense to just install a brand new inverter that comes with the peace of mind of a new warranty. It makes no difference to us, who you bought your KLNE Sunteams inverter from. We service all makes and models, including the KLNE Sunteams inverter whether sold and installed by our competitors. Carefully inspect your inverter for faults. Try and repair the inverter if possible. Ensure a replacement inverter is on hand (in case yours can’t be fixed) to install on the same day. Please call to hear about our range of affordable replacement options. Check that the green light on your inverter is lit. Check that the display screen is on. The second line of the display should cycle through important data such as the Etoday figure which can be used to determine your yield. At the end of the day, check the display for the Etoday figure and jot it down. Record it for a few days to be sure. If this number stays at zero production, there may be an issue with your solar panels or with your inverter. When a qualified Service My Solar electrician conducts a health check on your inverter, they can quickly identify what’s at fault and determine the best course of action. In some cases we may apply KLNE Sunteams inverter repairs, in other cases we may need to replace it. How many solar panels do you have? 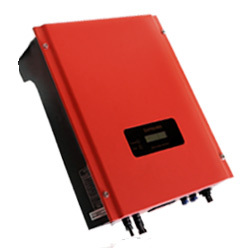 What is the model or make of your inverter? What is the serial number on your inverter? Are there any fault lights flashing or error codes displayed? If you see any error codes, what are they?